Barbara of Movement in Balance does equine bodywork/massage and healing in the greater Seattle area, as well as offering her popular “Introduction to Bodywork for Horses” clinics. She is a certified practitioner of the Equine Natural Movement School, is nationally certified by NBCAAM, and licensed as an LAMP in Washington State. 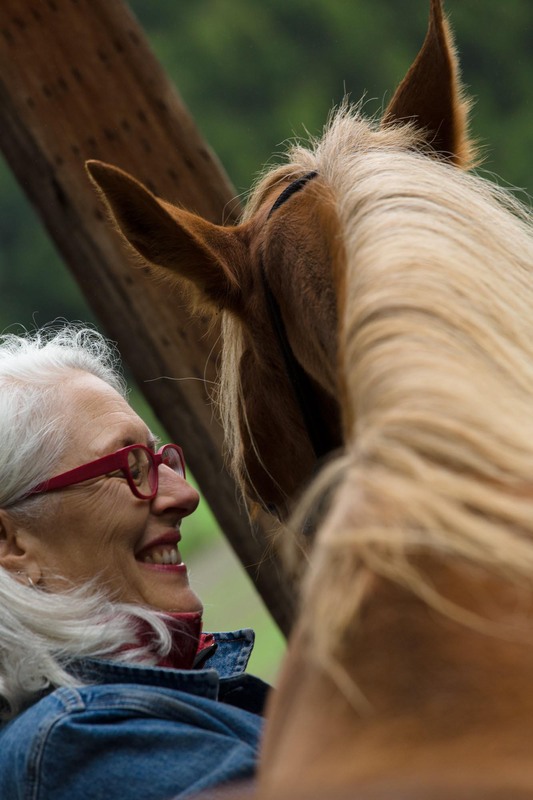 Barbara incorporates equine facilitated activities in her bodywork trainings, drawing upon her 2008 Epona Advanced Study Experience (EASE) with Linda Kohanov and the 2015 Art of Equus program at Chiron’s Way with Sandra Wallin. sharing her knowledge of bodywork and healing because it not only benefits horses, it empowers horse people in caring for their horses. Barbara became a horsewoman in 1993 when a handsome dapple-gray gelding won her heart. He claimed her as his own, and she embarked upon a journey that changed the way she sees and engages with the world. As a healer, Barbara draws on her training and experience as an artist and designer which taught her to see, and to listen to her intuition. She also made the delightful discovery that her creative hands and her healing hands come from the same place. 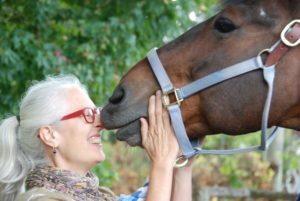 When it was time for a career change after 15 years of writing and facilitating communications projects, horses and healing work beckoned and she answered, calling on decades of study in personal development, energy work and earth-based spirituality to develop a healing practice for both physical and energetic aspects of horses. Her calm, grounded presence and healing energy supports healing and transformation in horses (and people) as they relax into connection with her. Movement in Balance offers bodywork sessions as well as clinics and mentoring in bodywork for horses. Visit her website to download her new ebook about how horses taught her to live better as a human. She can be reached via barbara (at) bluehorse (dot) biz or 425-260-0784, or through her website www.movementinbalance.com.